10:00 Welcome–Brass Knuckle Finance, L.A. Times Festival of Books–last day! Prayer Day for Alabama! Greetings to the chat room and read www.SundayMorningLive.net. 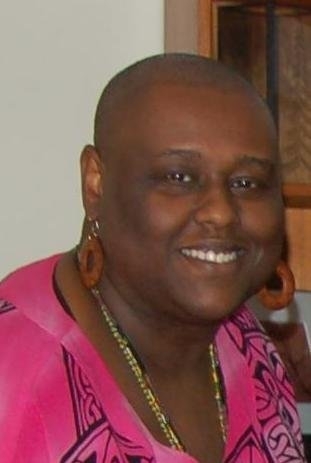 Janice Rhoshalle Littlejohn has had a diverse career as an editor, writer and communications expert during her 20-year career as a journalist. She is director and producer the documentary film, “…but can she play? 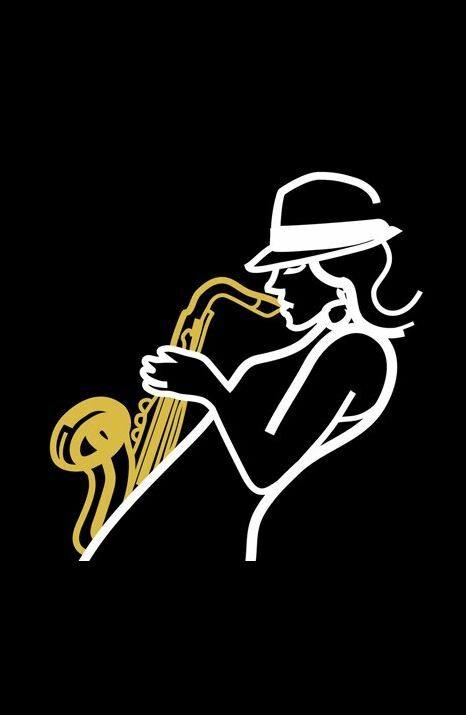 : Blowin’ The Roof Off Women Horn Players and Jazz.” She is also co-author of the forthcoming nonfiction book, “Swirling: How to Date, Mate and Relate Mixing Race, Culture and Creed” with Christelyn D. Karazin. Janice also edited the 2010 financial how-to, “All About The Benjamins: Helping People Create Sustainable Wealth In The Midst of Financial Insanity,” by Melanie D. Perry. Since launching her freelance career over a decade ago, Janice has worked with television crews, production and editorial teams throughout the United States, Canada and Ghana. In print, her work has also appeared in a diverse roster of publications including “USA Today,” the “Los Angeles Times,” “TV Guide,” “Variety,” “Multichannel News,” “Essence,” “Pool & Spa News,” and “DaySpa Magazine,” among others. As television and media columnist for blackvoices.com (then owned by Tribune Media) she engaged audiences with her unique perspective on the business of television and film and its cultural, social and political relevance to the African American community. She expanded her platform and audience with her popular television columns for the Associated Press. Her weekly “AP on TV” features were published by scores of newspapers, magazines and online sites worldwide. 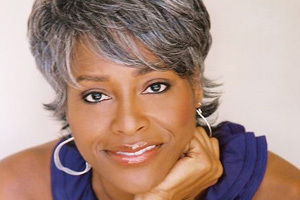 Janice also worked as the weekly pop culture commentator for National Public Radio’s “The Tavis Smiley Show” and frequently hosts TV industry-related panels for The Paley Center for Media and The Academy of Television Arts and Sciences. Janice is a longtime contributor to Emmy, the Academy’s official award-winning magazine. Janice has covered all facets of entertainment, arts, politics, community news, health and lifestyle and issues related to African Americans and the African diaspora since beginning her professional career as the assistant entertainment editor of the international syndicated radio magazine show, RadioScope, where she also contributed to the launch of the “Electronic Urban Report” (eur.com). Janice has also produced online video segments for RedZone (a division of Showtime Networks, Inc.) and America Online, and was a news writer for KCOP-13 News in Los Angeles. She is the recipient of numerous commendations, including an award for journalistic excellence by the National Association of Black Journalists. Janice earned her Master of Professional Writing degree in fiction at the University of Southern California and is currently completing her first novel. She has a Bachelor of Arts degree in Communications from Loyola Marymount University. An active member of the Journalism and Women Symposium, an organization of U.S. and international women journalists, journalism educators and researchers, Janice served on the board and as Membership Chairman for the Southern California region. She is a former board member for the Television Critics Association which represents more than 200 journalists writing about television for print and online outlets in the United States and Canada. Locally, she works tirelessly as a community organizer in her native South Los Angeles and was recently commended by Eighth District Councilman Bernard Parks for her service throughout the region. She is an ardent supporter of various charities which support the arts and arts education for children. Here is a clip of Clora Bryant, now in her 80’s jamming at the Central Avenue Jazz Festival. Tito Jackson--Ambassador and Solo Artist! Rock & Roll Hall of Famer Tito Jackson’s poetic lyrics, irrepressible vocals, and evocative musicianship are a faint reflection of the remarkable gifts that characterize Gary, Indiana’s native son. 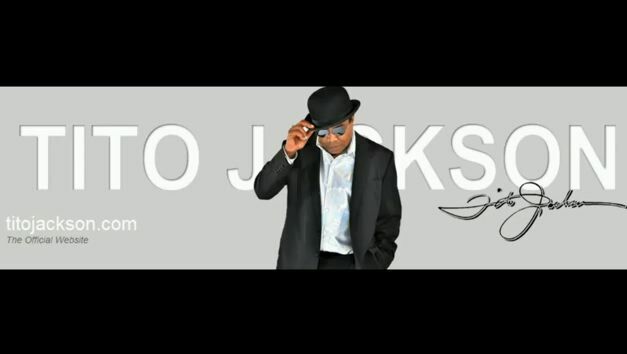 Born Toriano Adaryll Jackson, Tito has spent his entire life enchanting music lovers with soulful harmonies interwoven with curvaceous rhythms as a member of Motown’s greatest discovery, The Jacksons (Jackson 5), and presently as a multi-faceted solo artist. Tito’s unyielding passion for blues, R&B, pop, and other music forms is the secret to his boundless energy and rare achievements in the ever-changing entertainment spectrum. In 1962, before the Jackson 5 and the Jacksons, Tito performed in a local group called The Jackson Brothers. After competing and winning local talent shows in and around Gary, the precocious brothers were victorious again on the most prestigious amateur stage of all — Manhattan’s Apollo Theater. In that same year Tito and his brothers made their first studio recording (local label), titled “Big Boy.” Not only did it turn out to be a local hit, but it set the stage for a partnership with Motown Records (1969) and subsequent appearances on the top-rated Ed Sullivan Show, American Bandstand, Soul Train, and later, their own primetime television series in 1976, on CBS. In addition to this, Tito and his brothers’ soaring popularity with America’s youth was so captivating that they were captioned in a Saturday morning, ABC TV animation series. Tito and his brothers signed with Epic Records and officially came under a new name, The Jackson’s, in 1976. In 1978 he co-wrote the songs “Everybody,” “Destiny,” and “Push Away” for his new record label. As the group The Jackson’s, including Tito, they self-produced the Destiny album. Later, for the Victory Album Tito produced, wrote, and sang on “We Can Change The World,” which was featured on their popular Victory Tour. A father of three young men (Taj, Taryll, and TJ), known to the music world as 3T, Tito works closely with his sons. This is consistent with the fine direction that he received from his loving mother Katherine and his caring father Joe. 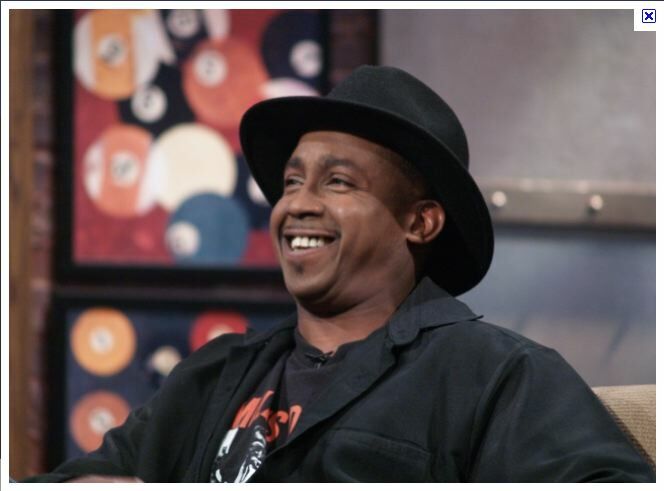 In addition to working with sisters Janet, Rebbie, and La Toya, Tito has worked with countless fine musicians, singers, and producers, such as the preeminent production team of Gamble & Huff, LA Reid & Baby Face, and the versatile Howard Hewitt. One of the performing highlights of the remarkable career of Tito Jackson is the unforgettable reunion performance on one of histories most watched television specials, Motown 25. The show signaled a pivotal point in his dazzling career and an auspicious focus on likely the greatest performer to ever grace a stage, Michael Jackson. In 1997 Tito and his brothers were ceremonially honored as inductees of the well-respected Rock & Roll Hall of Fame. Tito’s initial success with the recording masterpieces “I Want You Back,” “Never Can Say Goodbye”, “I’ll Be There,” (best selling single in Motown’s history), and other mega-hits is the genesis of an indefatigable trek into modern musical immortality. Tito Jackson’s eclectic musical arrow is aimed in the direction of diverse genres, R& B, blues, and pop. And at this juncture, Tito plans a series of recording ventures that will include a solo debut album featuring a caravan of styles. Although some of his numerous influences include blues greats Albert Collins and B.B. King, in reality his musical tastes defy nomenclature. Some projects will include collaborations with his son’s group, 3T, while other CD’s may involve his creative siblings along with collaborations from an assemblage of noteworthy artists. However, make no mistake about it, most of his work will consist of impressive solo projects with songs that are arranged, produced, and performed by Tito himself. 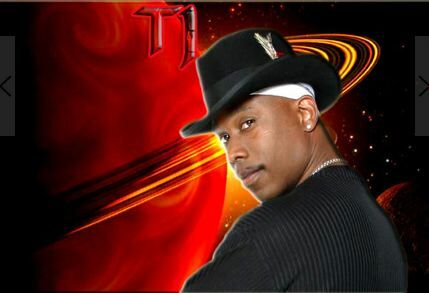 Presently he is in the process of completing his new project for a 2009 global release. By doing this, fans around the globe will experience the true essence of Tito Jackson as a premier solo artist and as one of music industries’ group icons. Tito and his band, sporting a frenetic pulse, will also rock the world again through a number of riveting live shows. 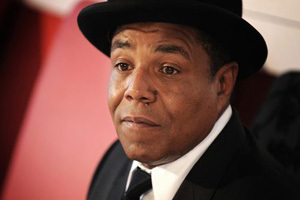 The measure of Tito Jackson’s influence can be best captured by expressions such as these: “One of the kindest, more pleasant people in show business,” said a major entertainment publicist. His brother Michael also had this to say about him, “Tito is very quiet and soft, but can be really strong when necessary. He’s always there when we need him and manages to project an inner calm which is vital within a family unit ”. Those statements have proven to be consistently true through the ups and downs of the exciting but rigorous show business lifestyle. As an international artist, the demure Tito has garnered great respect from his peers and fans alike. His emphasis on fairness and loyalty in the music business community is a hallmark of his aplomb and selfless style. Tito’s love of music can be transcended only by his undying love of God, family, and friends. Tito’s mark on music history and the rich legacy that he established is one that has stood the test of time and is one that will flourish for as long as there is a song to sing! You Just have to listen! This week she reviews Fab Five, Jumping the Broom, plays, films, and the latest, Darlene has it all. 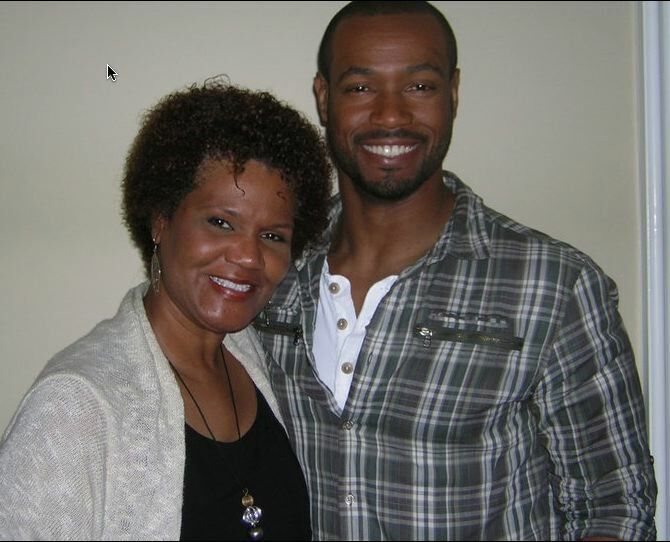 She interviewed Isaiah Mustafa, pictured with her here, but since we were in Vegas, we missed that one! Great interview with Tito, Darlene! She offers her review of the latest Tyler Perry Madea movie and more. He interviewed guitarist Jacques Lesure about the electric guitar and more. Leimert Park Resident Jonathan Grier completed a 6 year quest to beautify his neighborhood. This Grammy Award nominated choir director tells us how. Special thanks to Janice Rhoshalle Littlejohn, Darlene Donloe, Tito Jackson, Dr. Kwaku Person-Lynn, everyone in the chat room and everyone who tuned in to watch the archives. We Made It! We didn’t get to discuss this one, but our friend Wendy Raquel Robinson is in it: 35 And Ticking a film by radio legend Russ Parr. “35 & Ticking” centers around the lives of Victoria, Zenobia , Clevon, and Phil — all friends approaching the age of 35 and struggling to build the families they’ve always dreamed of. While Zenobia (Parker, “Soul Food,” “Brown Sugar”) is still looking for a man, Victoria (Jones, “Castle,” “One on One”) is married to a man who doesn’t want children. 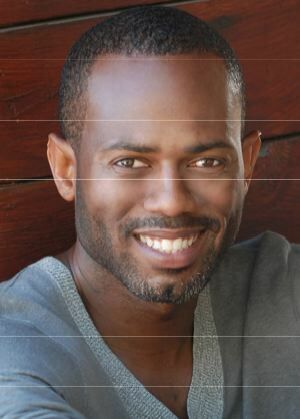 Clevon (comic Hart, “Not Easily Broken,” “40 Year-Old Virgin”), meanwhile, is too geeky to get a woman, and Phil (Keith Robinson, “Dreamgirls”) is already married with children, but his wife is not very interested in being a mother. All four of them try to rectify their romantic lives and futures while their biological clocks tick away. DeVon Franklin, featured in this piece is an early 30’s VP at Sony which is releasing Jumping the Broom this week. Support! He’s got a book coming out. You will remember the woman who killed herself and her three children after feuding with her hubby about his cheating. Well now he is handpicking who from her family can and cannot attend the children of the three children. 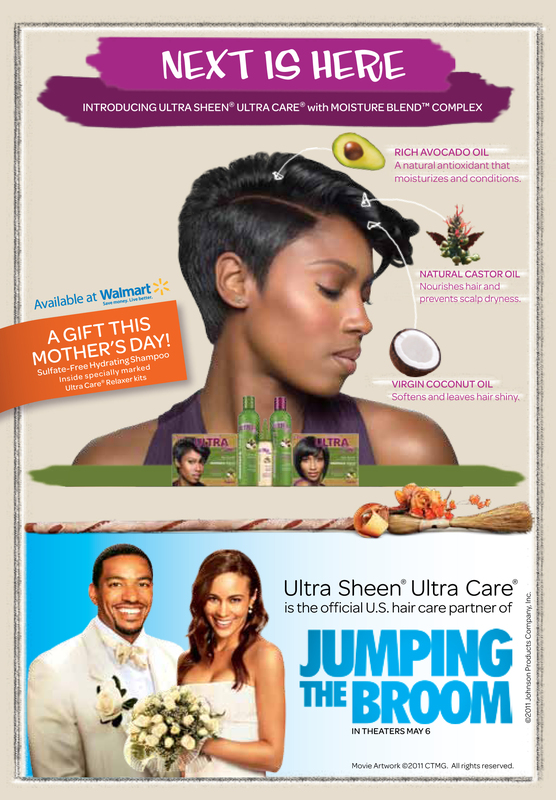 More Headlines You May Have Missed: Click here Seeing Black’s 411 has the scoop on many stories that may effect you. Please Click There (above)! NBA ACTION!!! Click Here for show times! Join me! Kenneth Hahn Park! I already signed up. PLEASE join me! It's my first REAL 5k! Jill Scott is hosting this event. May is my birth month and every day I can I am gifting myself “MOVEMENT!” Now look at that face of Brittania Henderson. Such a beautiful child had to BATTLE cancer. Do it for her if not for yourself! Pre Registration will end May 9th. Afterwhich, $5 will be added to the 25 registration. Please visit www.bcirunwalk.com to register or donate now. Thanks to our friends at Johnson Products. Go see the movie! Get the products! This is a trailer of a movie that was released last year. Maybe Netflix will have it? But it sure brings back memories of olden times church days! This is Spring Break for Sunday Morning Live, so we will forgo a show today. My Grandmother didn’t like working on Sundays as it is, but working on Easter? Not gonna happen! Enjoy your family time, but before you go, let me introduce a new segment on parenting on Sunday Morning Live called “It Starts at Home”. As I told the women of Black Women for Wellness, where I first announced this segment as a panelist some weeks ago: with the advent of smart phones, we all have studios in our pockets. Start recording your ideas of the best parenting tips that helped you through…or start recording parenting you see at random — good or bad. (Be discreet and blur faces when you can. Upload them and send us your You Tube link!) We can post video on this blog and play the audio on the show giving you full credit, if approved. This first segment (at the second link above) features my former producer at KACE Sherese Holmes who is now an educator in La Vegas. She is also the owner of hugs and kisses. Please take the first part of what she says in fun, but her message about reading is serious. Click the link above to listen! Second, after 24 straight shows, we are starting to get show ideas. We love them, but invite you to get involved. Record your own rant on a topic or record a debate you are having with someone on a particular issue. We would love to air it! Keep it to 5 minutes and if it merits a segment we will invite you on. Enjoy your Resurrection Sunday, everybody! This week we want to laugh, so we invited some of our funnier friends to join us. 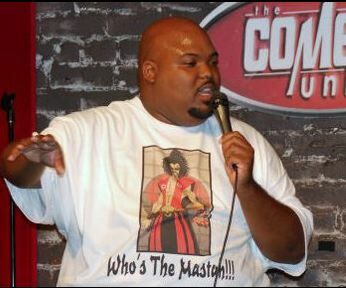 Los Angeles, CA http://www.DavisAArnold.com Comedy Workshop coming up late April. Visit the site for details. Copious amount of bits on You Tube, Also check Walmart, K-Mart and more for hi DVD’sHolla!, Gospel Comedy All Stars and More. Next Event Thurs. 28, Aloft Hotel, Plana TX 6-10 p.m.
“INCREDIBLE STAND UP CLASS! Show case May5th. Next classs starts April 23rd and we’re already at 75% capacity. Next week, very special guest speaker. Come audit and see what we do.” says David. By popular demand Im starting another stand up class for Saturdays.April 23rd in LA at the Comedy Union. If your interested in signing up hit me with your info in my inbox. Currently holding a Sunday class 12 noon – 530pm. Come audit and see what we do before you judge us. Copious amount of bits on You Tube, Also check Walmart, KMart and more for hi DVD’sHolla!, Gospel Comedy All Stars and More. Look RND$ up on Facebook: Recycling North Dallas Dollars and “Like” their page! Los Angeles. 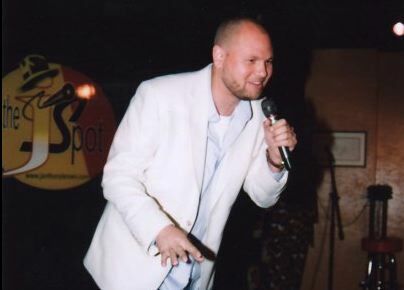 CA Host at the Comedy Union Every Monday. Free before 9. 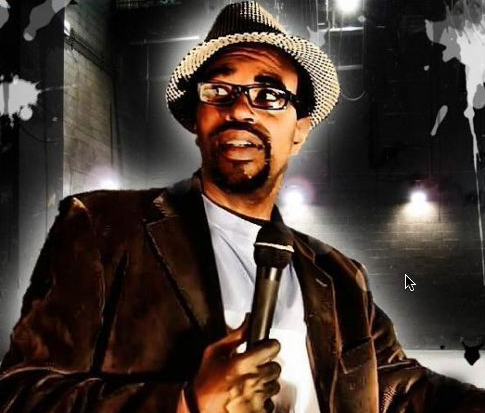 Check him out TONIGHT at Laugh for a Cure at the Normandie Casino at 8 p.m.
Big Dave The Comedian is on Facebook and will perform next at The Laugh Factory’s Chocolate Sundaes on April 24th. Thanks to Victor Miller, David Arnold, T.J. McGee, Darryl Littleton, Dwann Brown (Hear him here! ), Big Dave, Skillz Hudson and everyone who participated. And thanks to those of you who join us in the chat room..The chat room is still open if you want to make a comment or have a question. 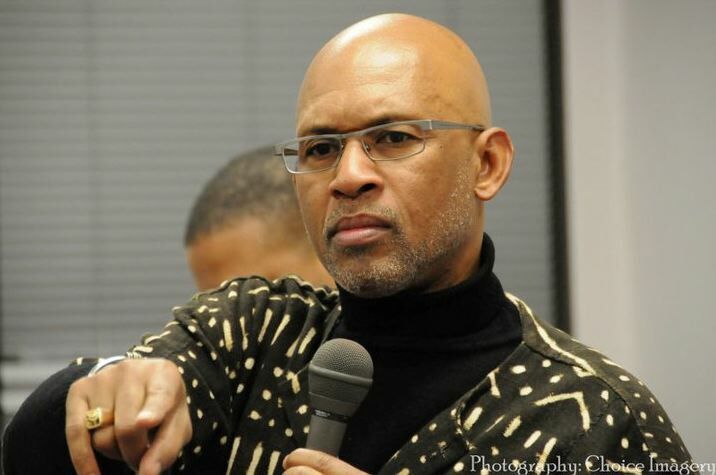 10:30 Dr. Ronn Elmore–The Relationship Doctor. Find out how you can get his latest e-Book free! 11:oo Entertainment: Darlene Donloe interviews two of the cast members of “The Bluest Eye.”! Plus she appeared on the TheFamily Crews and saw Living Right. 11:15 Darlene Donloe’s Entertainment Report: Interview: The Bluest Eye cast members Willie MaDaniels and Tekquirre Spencer. Ronn Elmore, Psy.d is a relationship therapist, ordained minister, and author of the national best-seller How to Love a Black Man (Time-Warner Books, 1996), its sequel, How to Love a Black Woman (Time-Warner, 1998) and An Outrageous Commitment: The 48 Vows of an Indestructible Marriage (HarperCollins, 2003). He holds a B.A. in Public Relations and Journalism from Antioch University (1981), an M.A. degree from Fuller Seminary with concentrations in both Theology and Marriage and Family Counseling (1989) and a Doctorate in Clinical Psychology from Ryokan College (1992). Dr. Elmore has done considerable research into the dynamics of interpersonal relationships and for several years maintained a Los Angeles area counseling practice specializing in short-term, goal-oriented marital therapy. Much sought after as a conference and seminar speaker, Dr. Elmore p resents before countless thousands of people each year in the U.S. and abroad. He was a featured speaker at T.D. Jakes Gods Leading Ladies National Conference Tour. Elsewhere on the lecture circuit he has shared the bill with notables such as Maya Angelou, Oprah Winfrey, Iyanla Vanzant, Tavis Smiley, Suze Orman, Paula White and others. 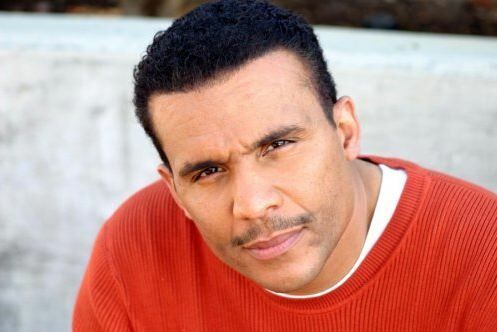 Formerly a professional actor and dancer with international stage and screen credits, Dr. Elmore now frequently appears on network and cable television talk shows including BETs 0h Drama! and the syndicated Men Are From Mars, Women Are From Venus and recently wrapped the Paramount Television pilot of Ladies Home Journals Can This Marriage Be Saved? ; and has provided on-air commentary for Fox Reality Network and for the BBC. Known as ‘The Relationship Dr.”, Elmore has emerged as one of Americas most popular media experts on love, marriage and family due to literally hundreds of radio appearances in every major market across the country. In addition, his balanced, always-insightful views have been featured in major publications like Newsweek, Ebony, JET, USA Today and Family Digest. 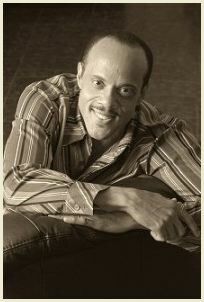 He has been a featured columnist for Gospel Today and BET Weekend magazines, and is a contributing writer for Essence. A tireless advocate for the urban poor, Dr. Elmore founded Kingdom Shelter, an innovative transitional housing program for homeless men in Los Angeles, The Encouragers, an affordable, community counseling center and Project: MISTER, an award-winning program which places committed men in public school classrooms as learning partners to a predominately father-absent student population. He was an inaugural recipient of the prestigious Chrysalis Award, presented by the Minority AIDS Project and was an executive board member of the acclaimed One Church, One Child adoptions initiative, is a charter member of the American Association of Christian Counselors and former board member of AIDS Project L.A.
Back by popular demand: Thandisizwe Chimurenga, journalist www.Thandisizwe.net. The long-awaited Malcolm X book is by Dr. Manning Marable is now out. Both of us have perused it and we will finish our discussion started last week. You know she keeps it real. She interviews Willie MacDaniel and Tekquirre Spencer of “The Bluest Eye” a play which runs through most of April. Willie Mac Daniels as "Cholly"
Training of Pavlo Hummel, A Piece of My Heart, National Pastime and Landscape of the Body. most recently seen as Dr. Peter Lucious in the action short “Omission” directed by Justin Bellow. 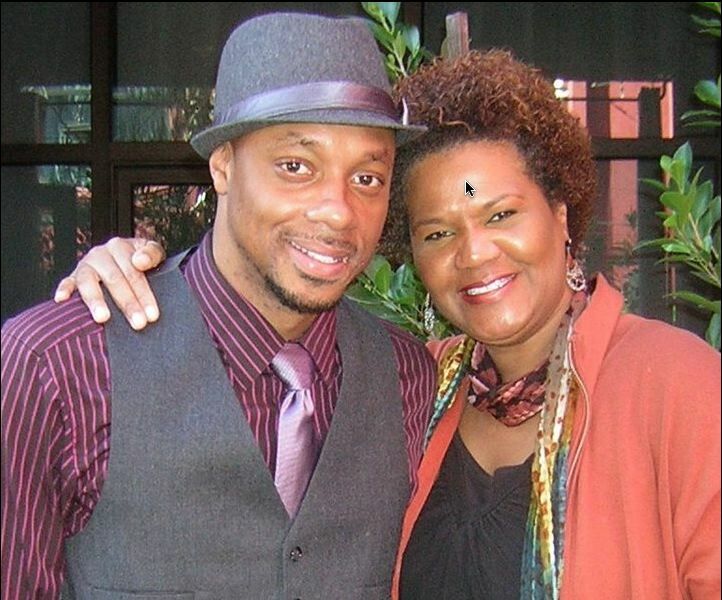 As a screenwriter Willie has been the recipient of the Academy of Motion Picture Arts and Sciences Foundation Fellowship, Film Independent’s Project Involve Program Fellowship, the Prague Summer Writer’s Program and is an alumnus of the Guy Alexander Hanks/Marvin Miller Screenwriting program sponsored by Dr. Bill and Camille Cosby. and went on to work on such shows as Unsung, Dancing with the Stars, Celebrity Rap Superstar, and Keyshia Cole: The Way It Is among others. Tekquiree has starred in several plays and is very excited to be back for the second run of The Bluest Eye as Claudia. Buy tickets here. This week’s info to be released Wednesday. Join the mailing list! Stories from Trump and his “birther” fixation, Bill Cosby’s Response, Effects of Govt shutdown, Education program ends revolving door for Ex-cons. Thanks to Barbara Morrison–don’t forget the link to the video is on http://www.SundayMorningLive.net, Dr. Ronn Elmore, Caller from 323, Thandisizwe Chimurenga, Dr. Kwaku for, The cast of The Buest Eye– Willie MacDaniels and Tekquirre Spencer–interviewed by Darlene Donloe.The details about the play are on this blog. And thanks The Kelley Nicole (www.theKelleyNicole.com). We uploaded her brief interview to our auxiliary blog: www.RisingSons.tumblr.com.